CTCN has ongoing partnerships with University of Hartford's Design Global Change class, Hartford Symphony Orchestra, L.E.V.A.S. 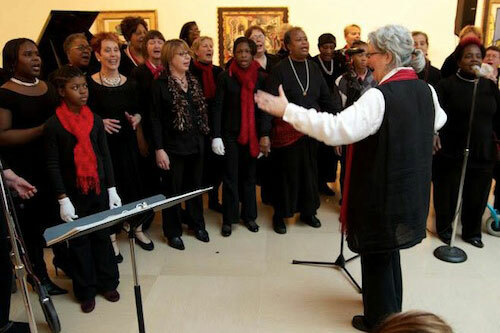 Community Gospel Choir and other Arts Organizations to promote Nonviolence. 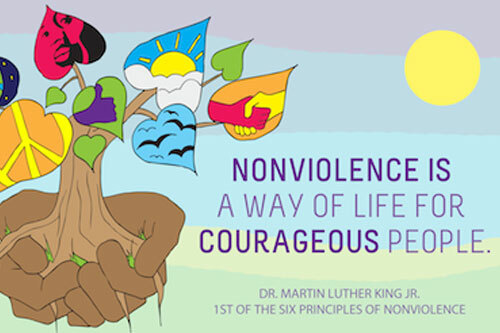 We have organized the creation of two of the Six Principles of Nonviolence – Community Murals, to be displayed in areas throughout Hartford, CT. Our collaborators are the Design Global Change class from University of Hartford. Their students have met with community members of all ages to have dialogs about how they would like Nonviolence to be depicted visually. CTCN staff and trainers have given mini-lessons on Kingian Nonviolence to the design students. After multiple meetings and several draft designs two murals have been constructed over a three year period. 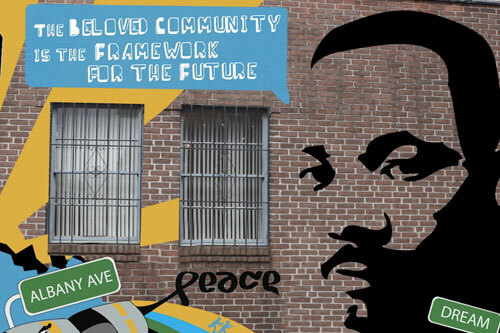 We are seeking collaborators for the next four murals.